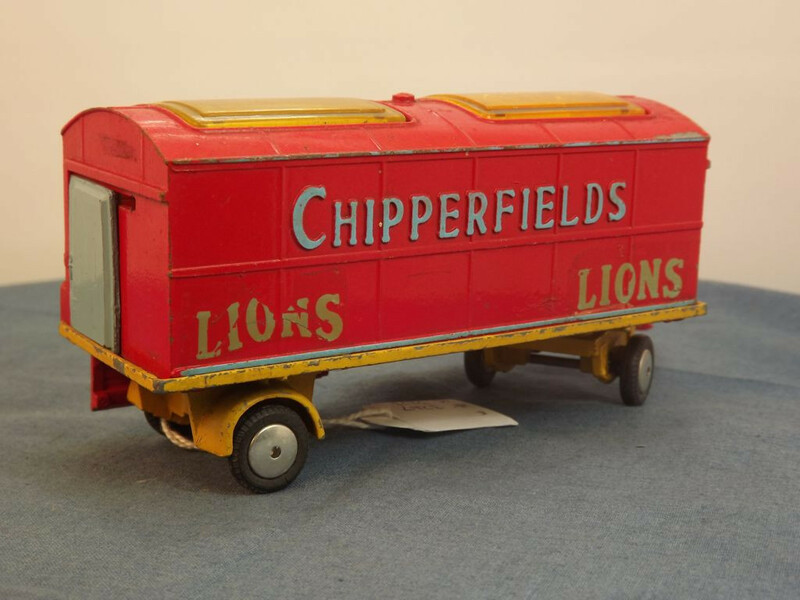 This model is the Corgi 1123-A-3 Chipperfields Animal Trailer in Red and Yellow. This model features a twin box-cage on flatbed trailer. 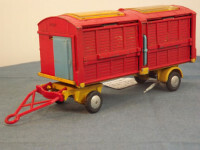 Each end of the trailer unit has a blue door for loading and unloading the animals. 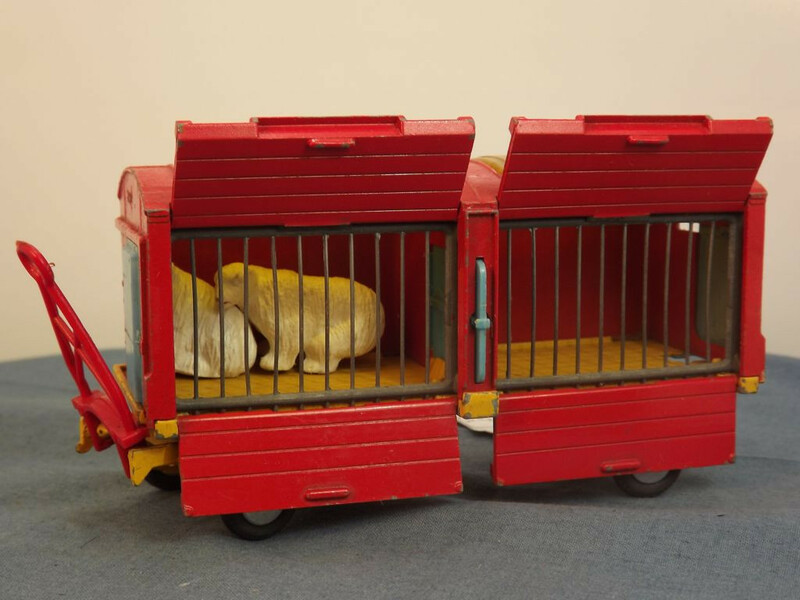 The front of each caged unit has folding doors to enclose the cages at night and for travel. 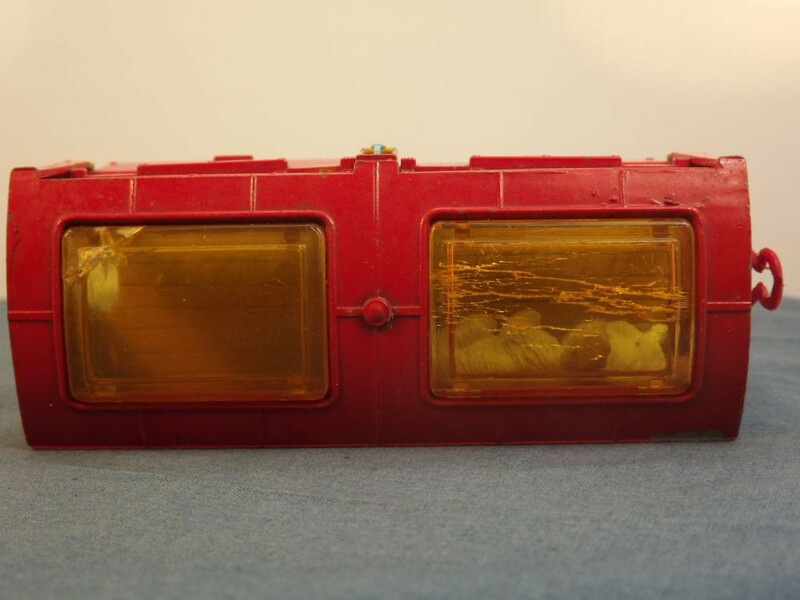 In the centre of the two cages is a sliding door that allowed animals to be separated. 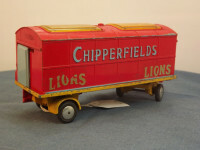 At the rear of the cage unit is a blank wall on which is cast "Chipperfields" and "Lions". The roof has two amber glazing units. 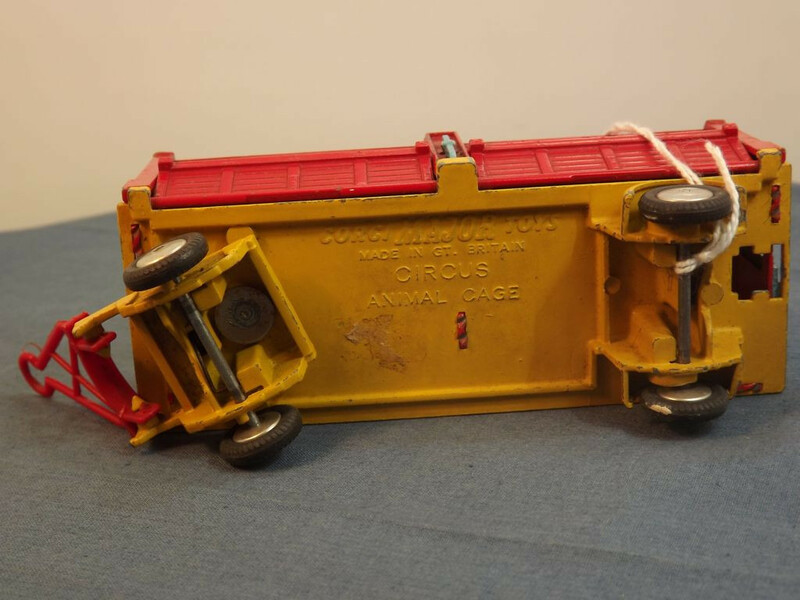 The yellow flatbed trailer has a rotating front steering section on which is attached the red plastic towing arms, and a rear towing hook so that more than one trailer could be coupled together. 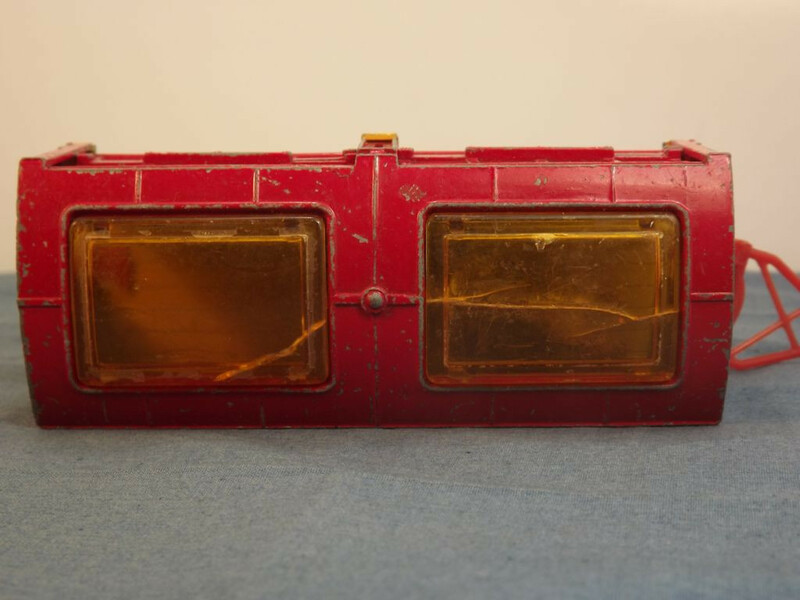 The only opening parts are the front hatches and the end doors. 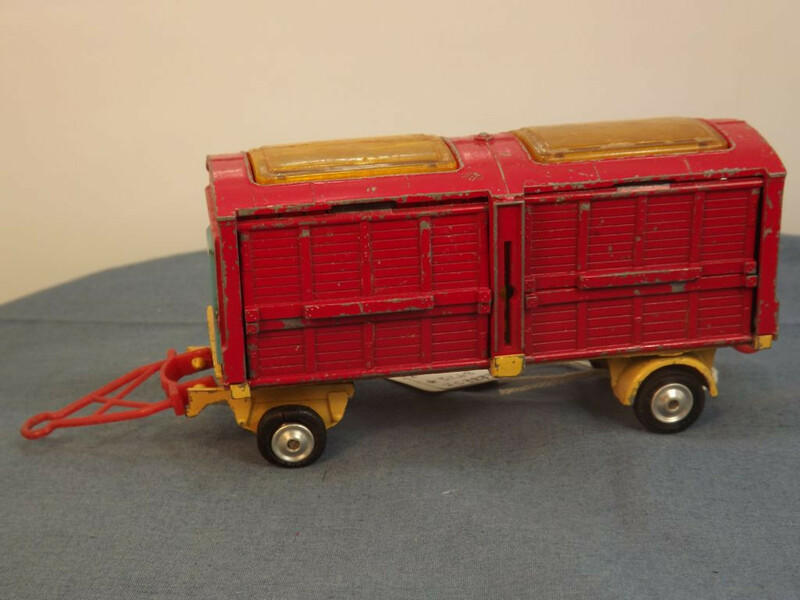 All wheels are of the smooth, cast type, with separate black tyres, on steel axles. 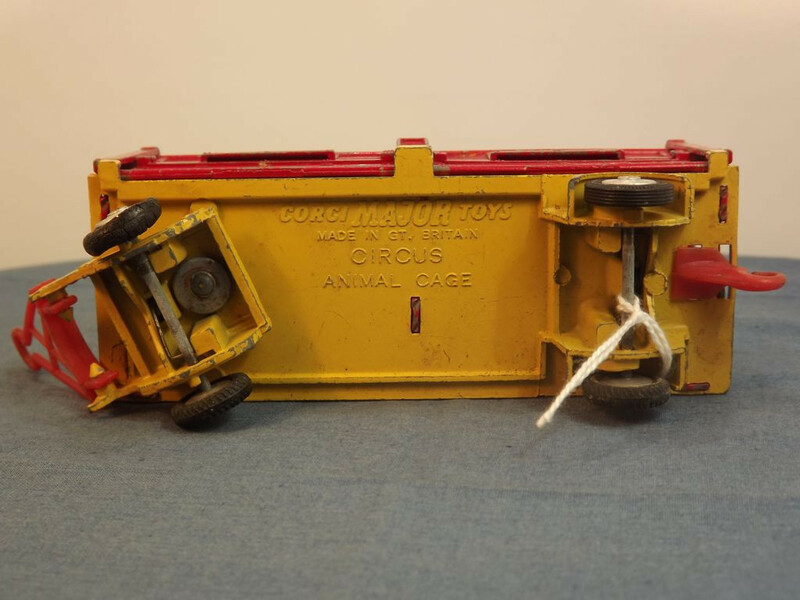 The base plate is actually the flatbed casting and is marked with Corgi Major Toys at the top centre, below this is "Made in GT Britain", then "Circus Animal Cage" to the middle centre. 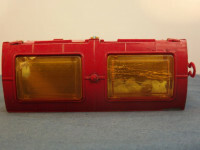 It is held in place with four spread body locating lugs. 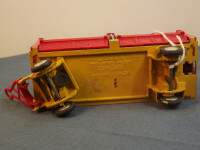 The front axle casting is held to the trailer base by a single machined rivet. 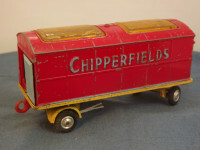 This model was issued between 1961 and 1968 and its scale was stated to be 1:48. 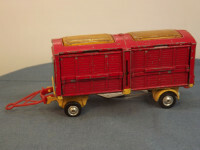 This model features a twin box-cage on flatbed trailer. Each end of the trailer unit has a blue door for loading and unloading the animals. 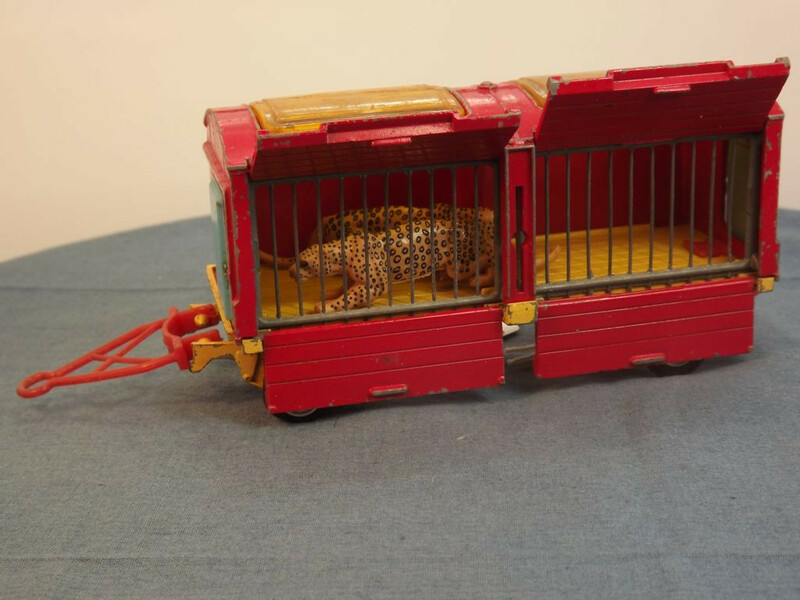 The front of each caged unit has folding doors to enclose the cages at night and for travel. 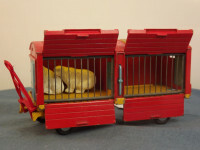 In the centre of the two cages is a sliding door that allowed animals to be separated. At the rear of the cage unit is a blank wall on which is cast "Chipperfields". 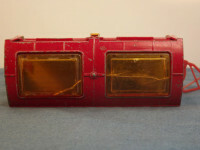 The roof eering has two amber glazing units. 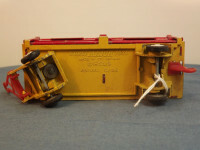 The yellow flatbed trailer has a rotating front stsection on which is attached the red plastic towing arms, and a rear towing hook so that more than one trailer could be coupled together.